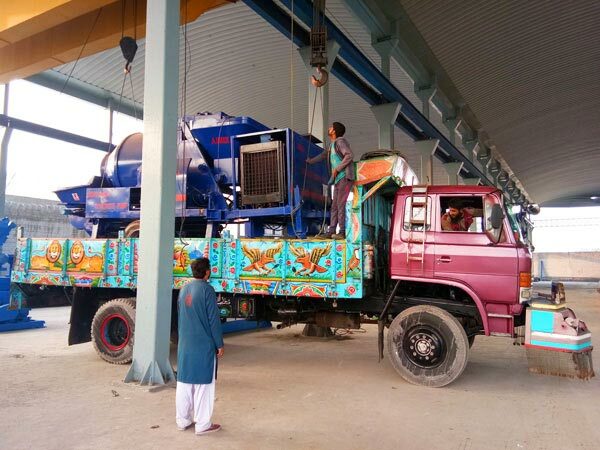 JBS40-10-82R Diesel Concrete Mixer Pump Pakistan Has Been Installed And Debugged Aimix Group Construction Equipment Co., Ltd. Exciting news in Pakistan! AIMIX JBS40-10-82R diesel concrete pump with mixer was sent to Pakistan in January, and one month ago, this JBS40R diesel concrete mixer and pump has been sold out and installed successfully! As you can see from the picture, our customer planned to use it in water conservancy project. 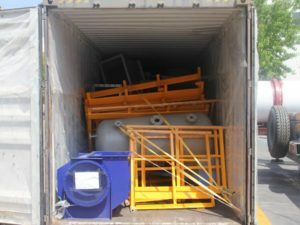 I have to say, cement mixer pump is ideal choice for water conservancy project, also tunnel construction, flood control, building construction, slope protection project and sea wall construction. 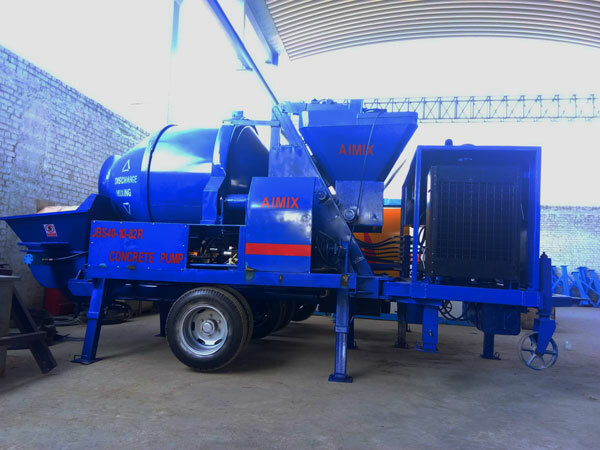 Why choose AIMIX diesel cement mixer and pump? Fuel-efficient. 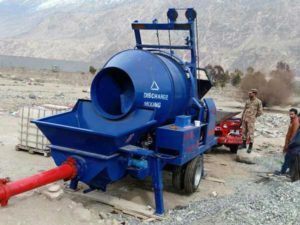 The whole concrete mixer with pump for sale Pakistan is driven by diesel engine, which can realize constant function. Suitable for areas lack electricity and electric voltage is low. Aimix can help selection, planning, installation, debug and regular maintenance. AIMIX as a reputable concrete pump manufacturer in Pakistan, which has rich experience. 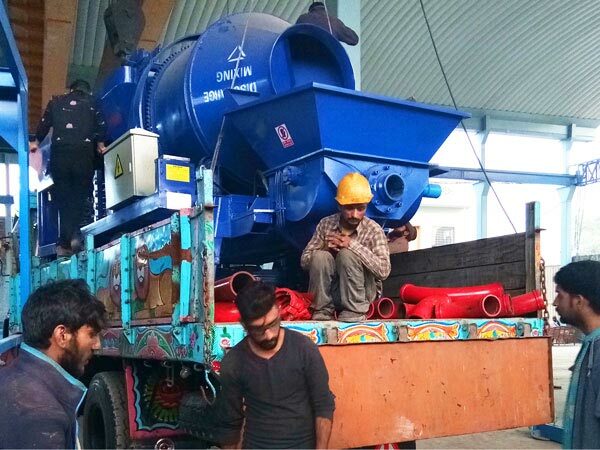 Moreover, diesel concrete mixer with pump is truly a hot type concrete pumping machine, we have exported more than 100 sets of to Pakistan, Philippines, Sri Lanka, Bangladesh, Indonesia, Fiji, Paraguay, Congo, Nigera, Jordan, etc. 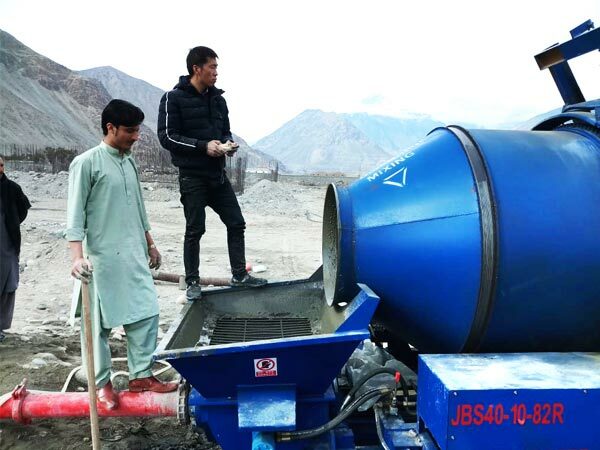 We also sell mini concrete mixer machine with pump in Pakistan and other construction machinery, such as, batching plant, asphalt plant, automatic brick machine, wall putty manufacturing plant, etc, welcome to contact us now! 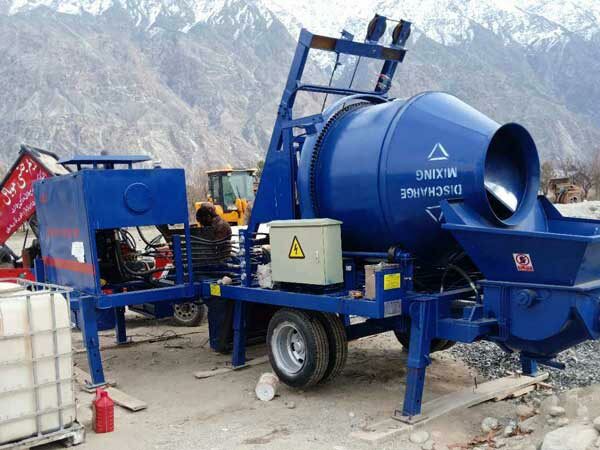 We will give you best concrete mixer with pump price in Pakistan!